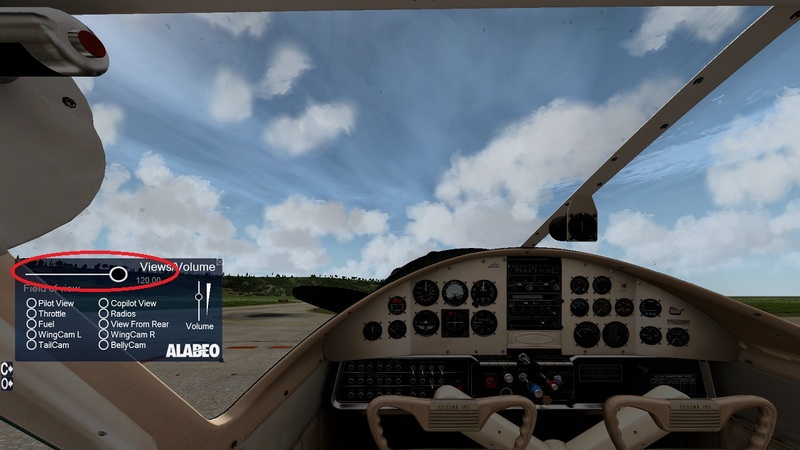 Alabeo has contributed greatly to the X-Plane 10 payware market releasing 9 aircraft to date, all aircraft made by Alabeo are at a very high quality and I can't recommend them enough! 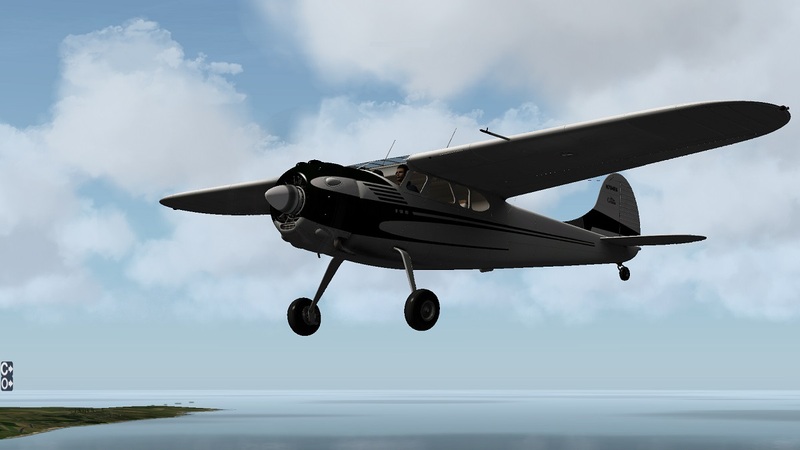 One of their most recent releases, the Cessna 195 Business Liner, is one of the most greatly modeled aircraft for X-Plane 10 with phenomenal 3D aspects in and outside. 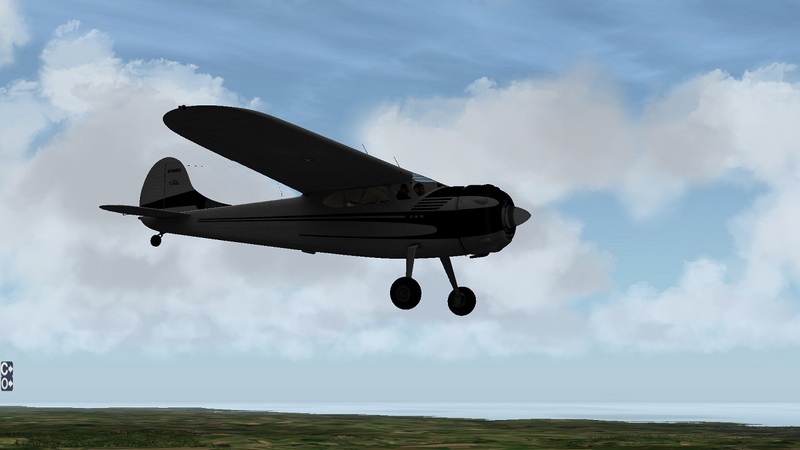 The C195 Business Liner is a very light weight, radical engine powered, general aviation aircraft with conventional landing gear. 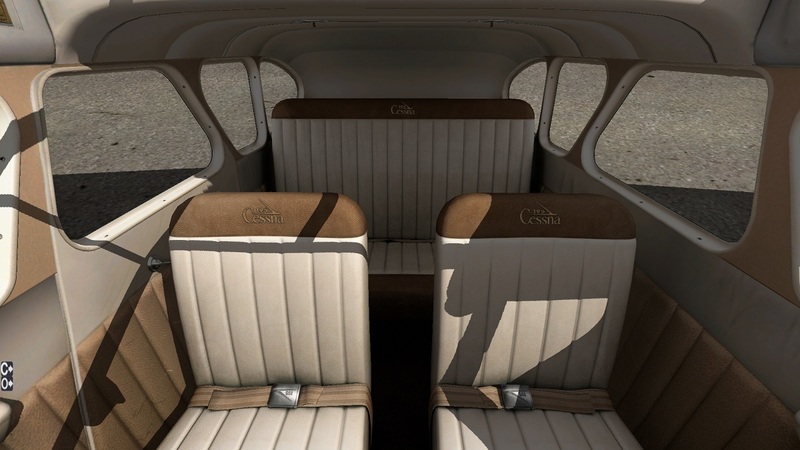 The C195 has a fixed pitched two blade propeller, can seat four and is single pilot certified. The aircraft is very traditional so therefore an International club has been set up just for it! The International C195 Club. So how does Alabeo's Model compare? Very well is the short answer! 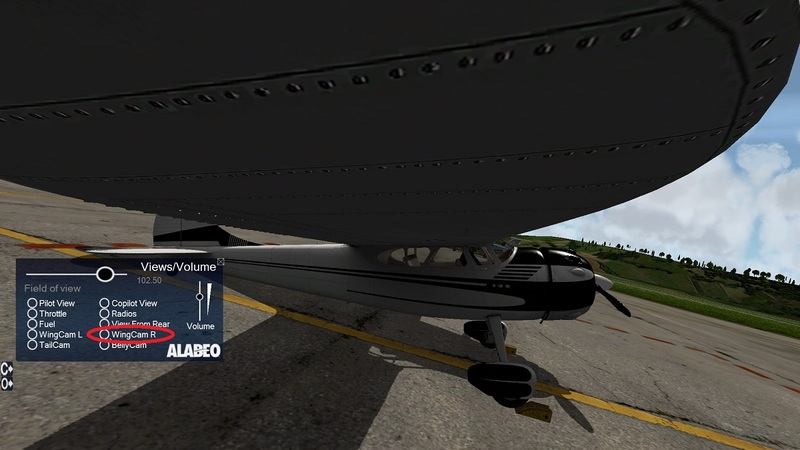 The Alabeo team have made a magnificent aircraft matching the real aircraft extremely closely, also with additional animations. 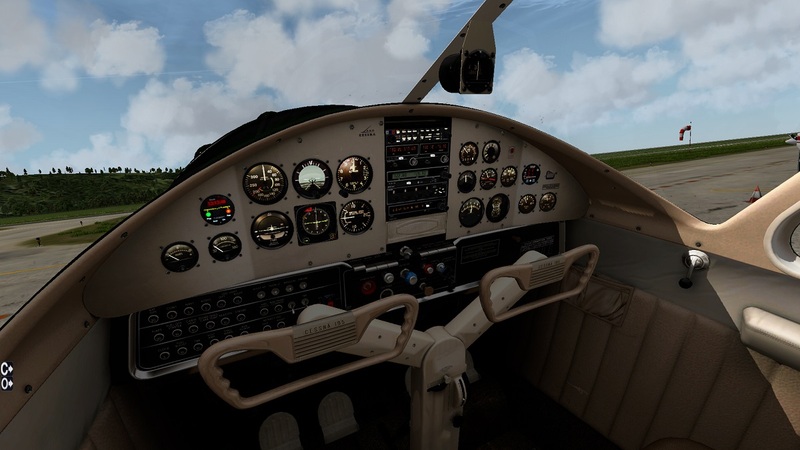 With any detailed x-plane add-on you need to make sure that your computer is up to the job of running it! Here are the system specifications for the Alabeo C195. 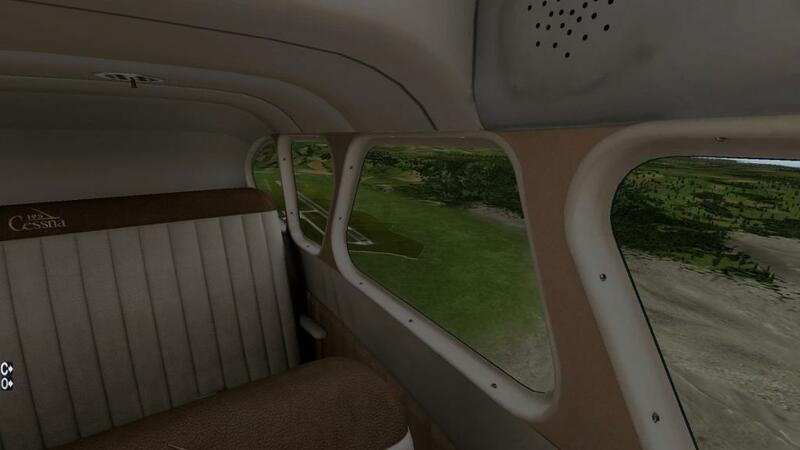 It is difficult to sum up my thoughts and opinions into a small paragraph so I have taken a small flight taking off at Portoroz LJPZ to really analyze what I think of the Business Liner. I start parked on the apron at LJPZ, with the 195 sat cold and dark. 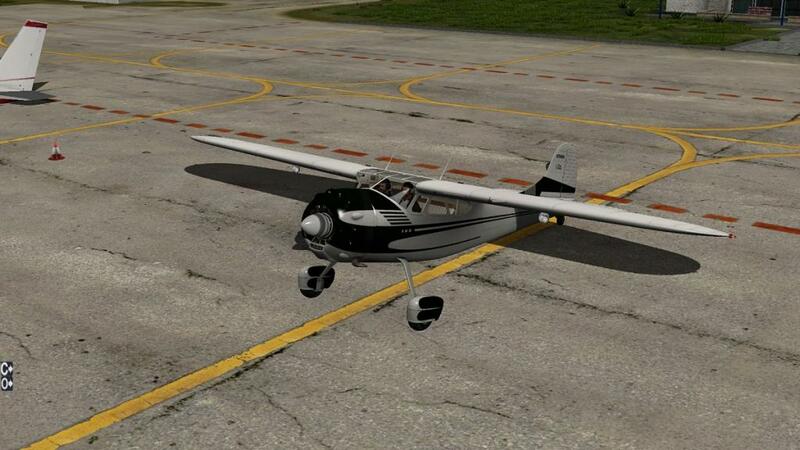 Installing the C195 is very simple, just unzip the folder to your C:/..../..../X-Plane 10.. Aircraft.. General Aviation. Directory. When unzipped into that directory you will be able to select the C195 to fly during start up. No installer is included for the C195 by Alabeo however installation is still very simple if you follow either the manual or my comment above. The 195's textures truly make this aircraft 'traditional' in a way, although the textures are not worn showing wear and tear the textures definitely match the colour scheme of the 195. All textures are in a super high resolution format which looks fantastic, for example the seating leather texture is very detailed and crisp. Within the 195 every nut and bolt can be seen as well as creases in the leather which look great! 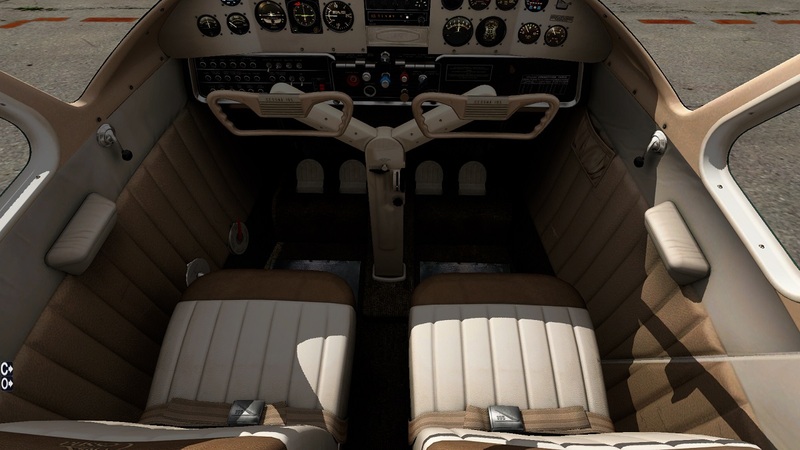 The crippled leather and fabric in the cockpit makes this aircraft feel ultra realistic, another texture which is very good is the dirt marks on the bottom of the glass. It would be great to see more dirt marks placed in level eye vision for extra immersion however the cleanliness is mostly down to the owner, this Alabeo 195 is certainly a collectors one! The metal foot pads on the floor of the 195 are at a high resolution however the actual carpet texture could be a little more high resolution. 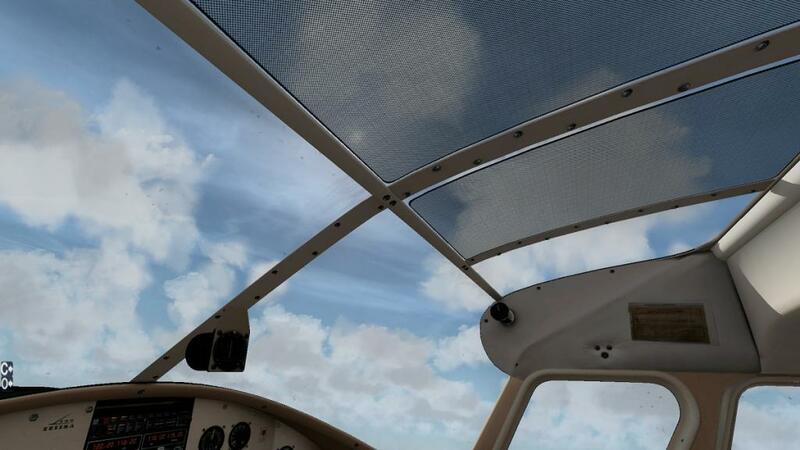 The sun screens above the pilots head in the cockpit are very detailed and crisp looking, you also have the option to have them or not in the pop up menu, however, from the outside when you disable the sunscreens they do not disappear? The texturing on the yoke has been finished to perfection, the pictures simply explain themselves. As always it is possible to hide the yoke from view by clicking on the yoke hotspot, when hid an Alabeo texture is displayed. 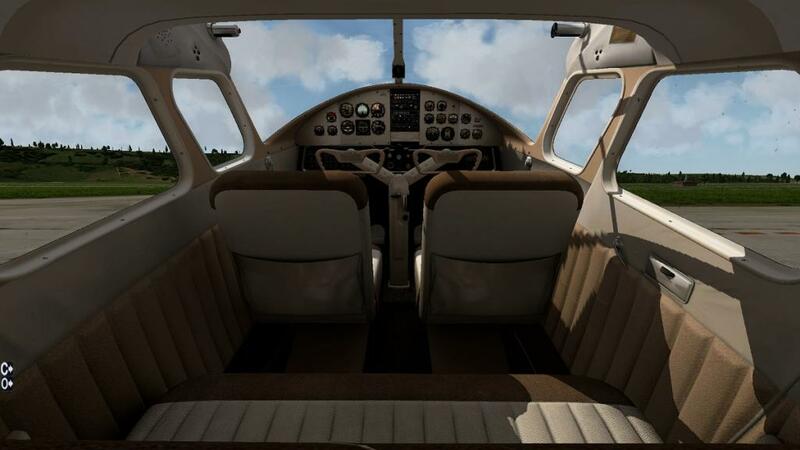 The rudder pedals have been textured to the same colour scheme matching the rest of the 195 interior however could be more crisp looking although who stares at the rudder pedals whilst flying! 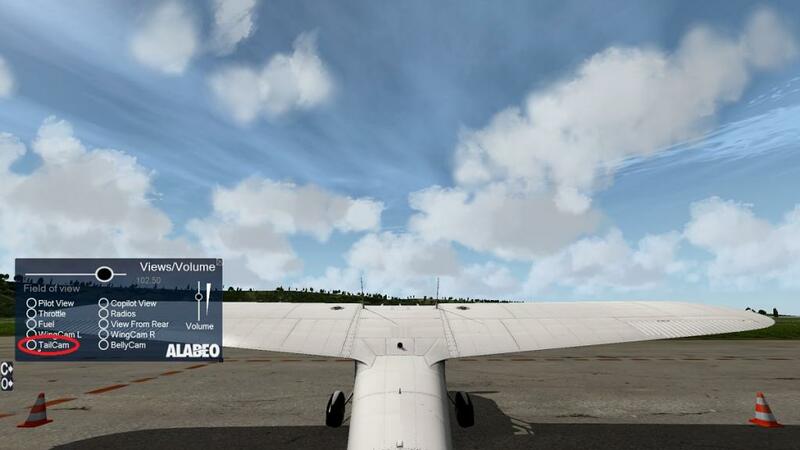 The exterior texturing is amazing as always with any Alabeo model, its a shame that the textures don't reflect their surroundings however that is a limitation from the simulator itself and not Alabeo's fault. The tires have been textured OK however the tire tread cold be more crisp. As you can see from the images above you get the normal two option menu's with the 195, C for 'cameras' and O for 'options'. The two menus allow for change such as static elements, door animations, sun screen options and many more. The cameras menu is very useful when flying high in the sky! This easy accessible menu lets you change the 'FOV' field of view and camera position, clicking on the selected camera position will transfer the camera to the designated place. 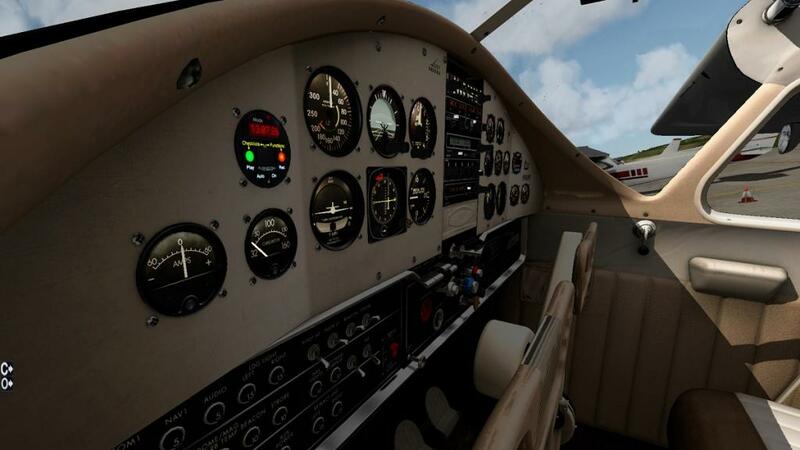 Pilot View takes you to a predefined 3D cockpit position with mouse look. 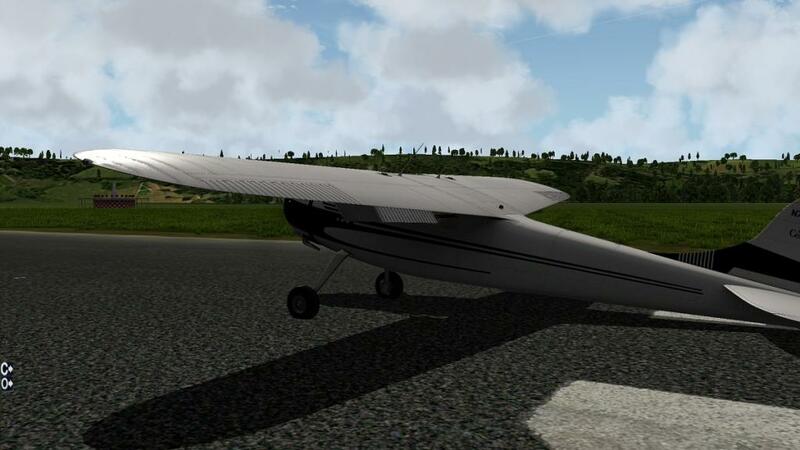 5 HD Liveries are provided within the 195 package, all of them look great and can be used for different flying purposes. The liveries are named ' livery 1, livery 2, livery 3 etc...' this can be slightly annoying when your trying to find a livery that you really liked! Apart from that the liveries are all great with or without fairings. You may be thinking I said 5 liveries were included by four are shown, this is because the 5th livery is a blank white livery for custom designs possible with photoshop. It is very difficult picking a favourite livery, if you have one please comment below. 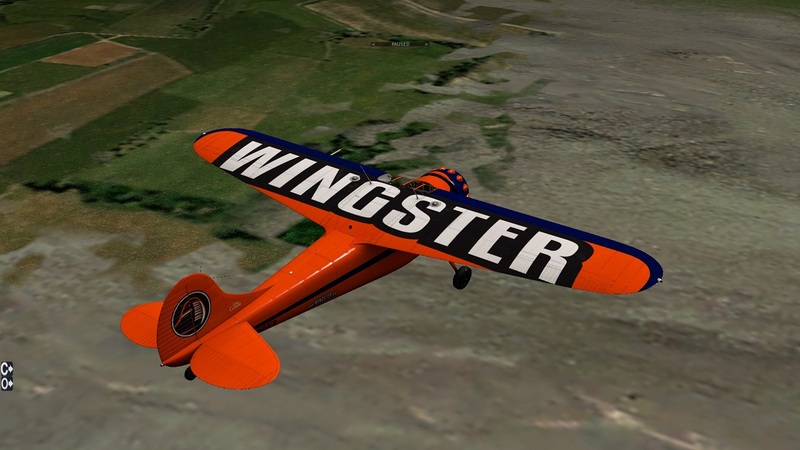 Eventually after a tough decision I chose livery number 4 ' Wingster', the main reason is because it looks like a redbull livery for stunt flying which somewhat fits well with this traditional 195. All liveries are high definition quality and as you can see from the images above they all look great! 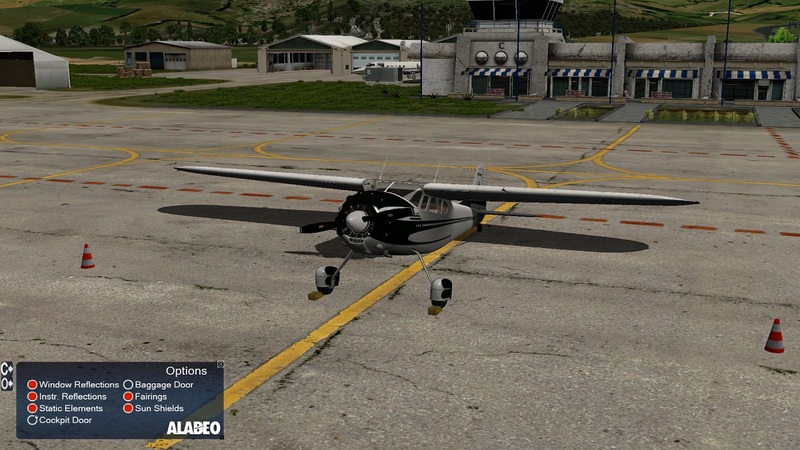 The 3D Modeling Alabeo has pulled off for this aircraft is fantastic! You can really feel a sense of immersion whilst in the cockpit and looking around. The interior modeling has been done very well, especially the yokes! Attention to detail is superb, the seat belts resting on the two front seats have been 3D modeled with great textures applied to them. The side arm rests have even been modeled and look very realistic with the crumpled leather texture. As you would expect the panel is fully 3D with 3D knobs and switches along with 3D gauges. 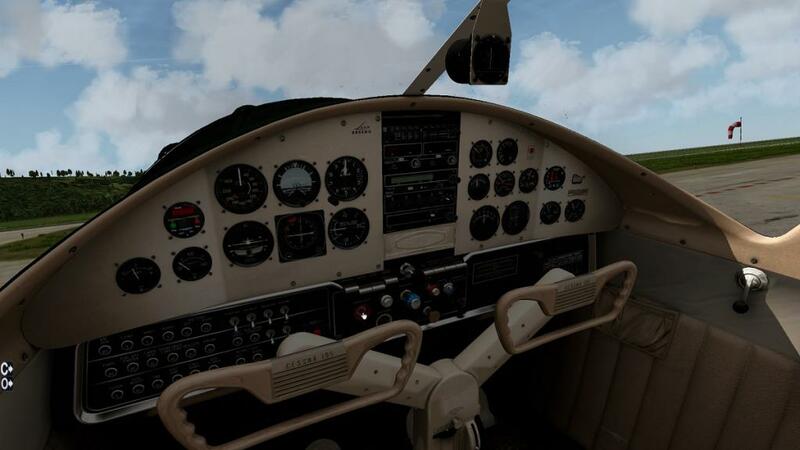 The only issue some people may find with the 3D cockpit modeled the way it is, is the fact that if you are a 2D panel flyer it is going to be very difficult to see the whole panel clearly. However if you are a constant 3D cockpit flyer, like I am, this won't be an issue for you. Despite the difficulty it there is still a work around, you can adjust your FOV 'field of view' using the slider circled in the images in the first paragraph. 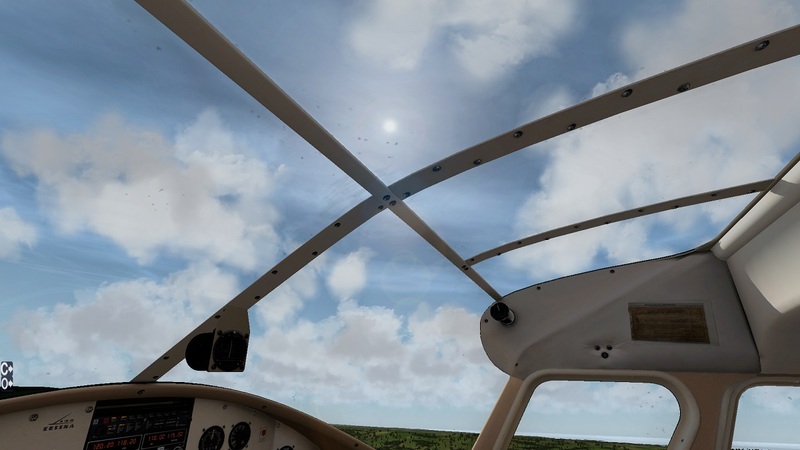 The windscreen glass really gives the aircraft a sense of immersion inside, stretching from the bottom of the glare shield over to above your head. It could look much better with more dirt applied, or maybe an option to toggle window dirt on/off. 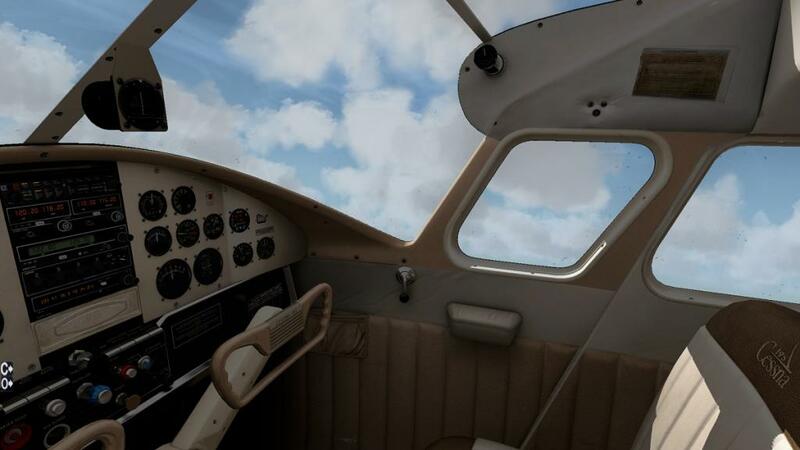 Looking up and seeing the clouds above your head is great on a monitor, imagine that in the Oculus rift, especially with the depth of field immersion. Opening the door, using the options menu, and stepping outside we can really see the beauty of this aircraft. The enormous engine and cowling mounted onto the aircraft chassis is really emphasised whilst walking around, the fuselage is long and every nut and bolt holding the aircraft together can be seen. The engine intake looks fantastic, every metal strut an exhaust tube has been modeled accurately showcasing the traditional look of this iconic aircraft. The peto tubes have been greatly modeled as well as very accurate modeling and dimensions for the leading edge of the wings. With static elements enabled using the side bar options menu, you guessed it, static elements are enabled and displayed around the aircraft. Static elements include chocks, obstruction cones etc... all of which have been modeled and textured well. I don't recall however Peto covers, 'remove before flight', being animated within the static elements option? Or the other fabricated covers placed in the engine intake after shut down if the weather is bad? A possibility for Alabeo to add that. 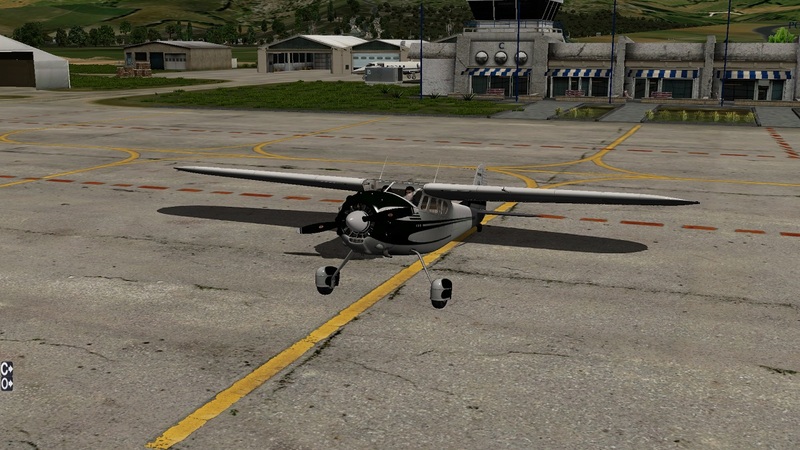 After engine start it was time to take off and fly out from LJPZ. 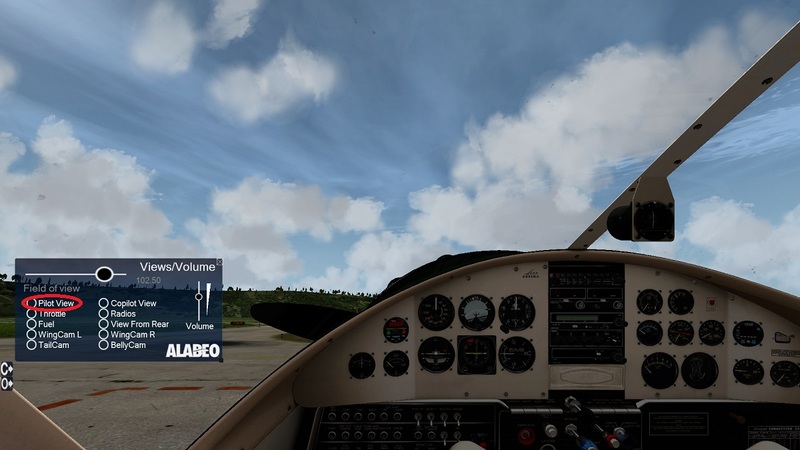 After about 7 seconds of rolling on the runway I had taken off and at 15 seconds into the flight I was already at 500ft, that just proves how sensitive, light weight and power full the C195 really is. From one of the pictures below you can see how I slowly started to drift right not maintaining the runway heading , this was not a nature factor of the wind but the general yoke sensitivity and control you have. After correcting the drift it was already time to take my 160 degree turn to my new heading. 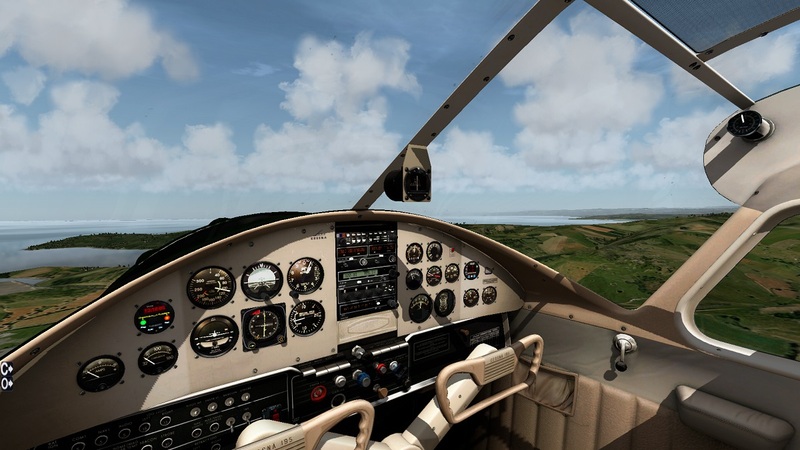 With hardly any delay in response it can be difficult not to bank the aircraft too steep, however with the correct level of rudder input a steady bank can be made. 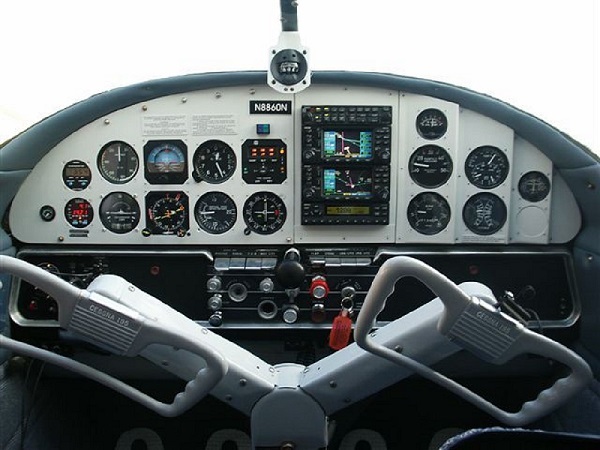 Once level I leaned the mixture and throttle to maintain flight without wasting fuel. 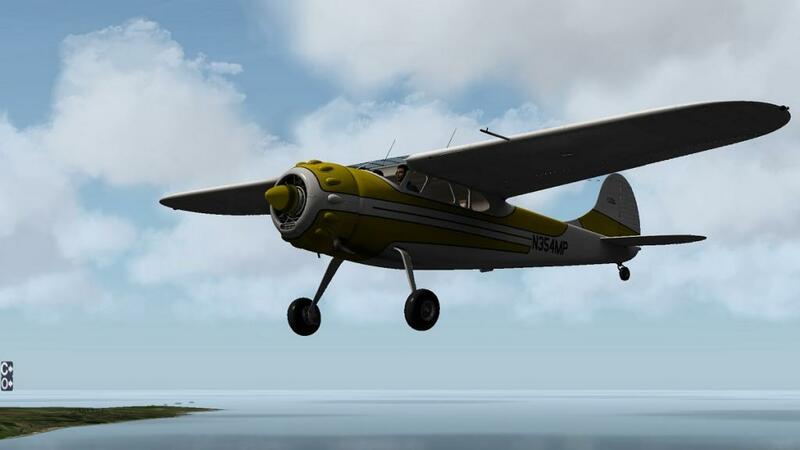 Not having flown a C195 myself it is difficult to comment on the flight dynamics compared to the real C195. I can only report on how sensitive the 195 is, obviously with the under wing flaps down causing drag the 195 is less responsive to change however the more you force the controls you will find yourself in a steep bank. 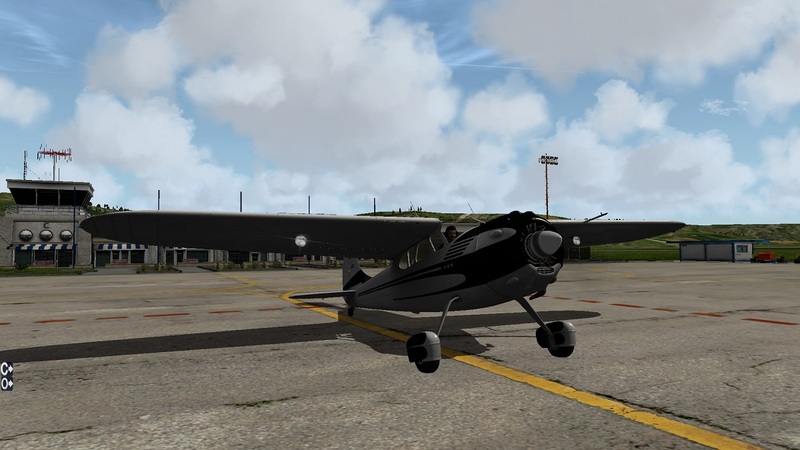 Animations are great, ailerons and elevators have been modeled and animated in detail with a slight delay on the animations in the exterior view. Doors are animated and move at a moderate speed, doors can be opened and closed using the 'O' options menu. The animations look great and even the door handles move correspondingly. 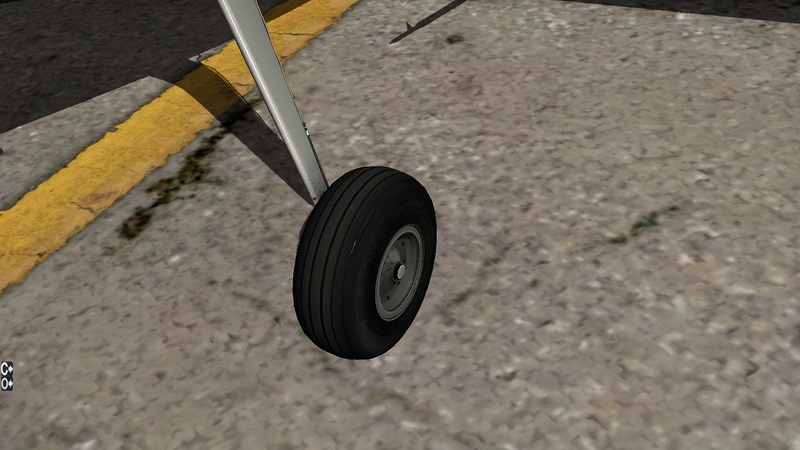 During touchdown the landing gear struts flex for suspension taking the force out of the landing, this animation is great! Here is a video I found on YouTube which demonstrates the C195, you can clearly hear the different prop sounds switching between interior and exterior. Night lighting is OK in the C195, nothing much spectacular, however. 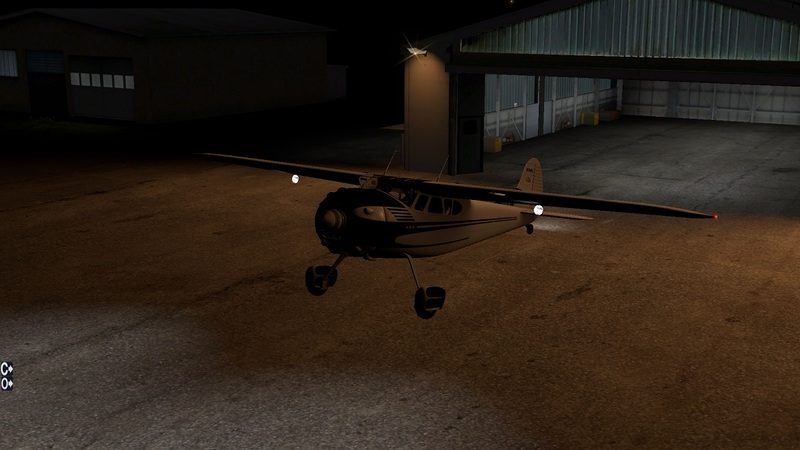 As normal you get the landing lights casting on the ground in front of the aircraft and the landing light animation (drop down) fits well with the textures and the actual light itself. When using the C195 at night its best to use HDR rendering, then you get the full effect! 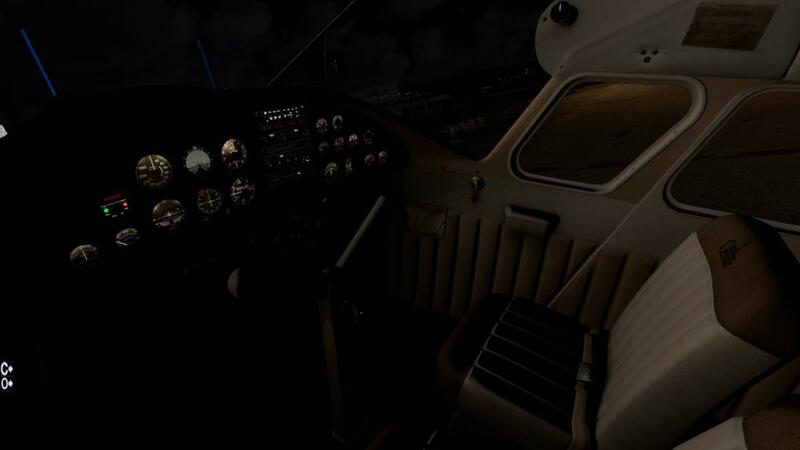 The interior lighting is not great, the gauges light up by a switch however there are no night cockpit lights, this is probably as it is day VFR (visual flight rules) aircraft however it would be a nice feature to have especially when landing during sunset. Above on the third picture along from the right the cockpit lighting seen is not how it would look parked in a dark field. The seats in the image have spill of the LJPZ apron lights, that is what's lighting up the cockpit. 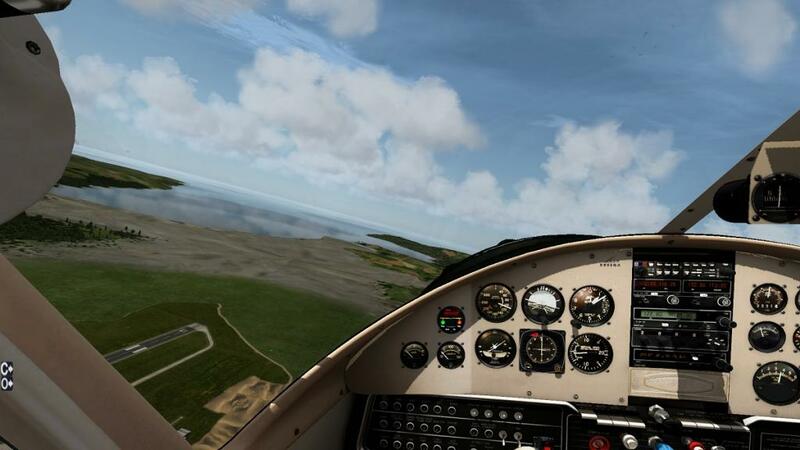 joystick settings to have the most realism when flying the C195. If you have any issues with the plane you can contact Alabeo or just refer back to the manual as your question is probably noted in there. 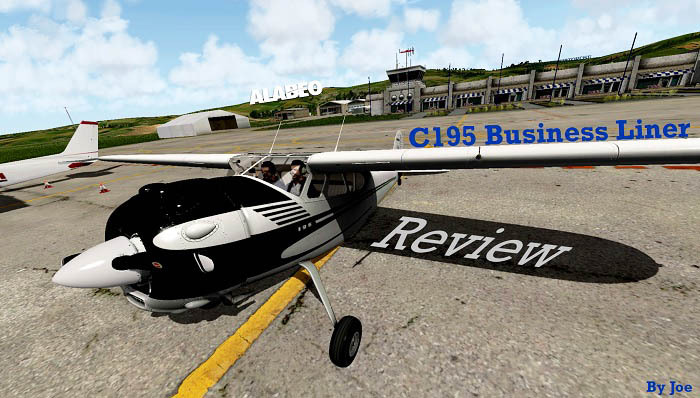 Overall the C195 is another great release from Alabeo, if the C195 is to your taste or not it's an aircraft you will still enjoy flying. 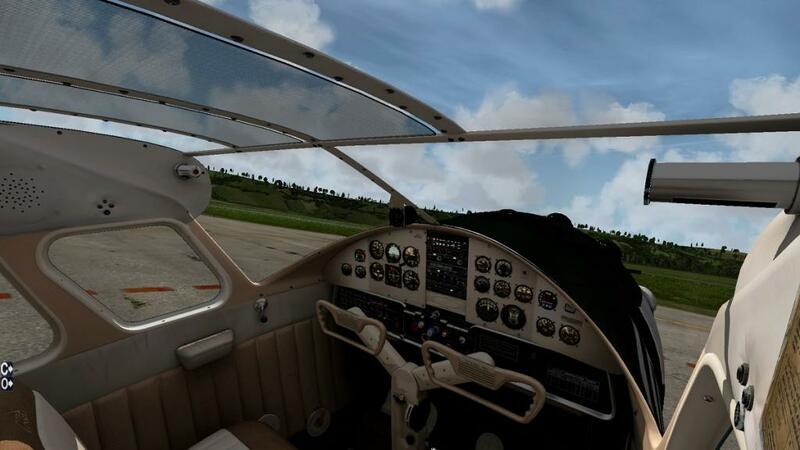 There are many animations dotted around which look great for example the sunscreen pictured below, meaning there are many ways to configure you C195 to suit you are re-enact a flight you have completed in real life. The textures are high resolution as always and really make this aircraft look special and dated for its era. Wether you are a redbull stunt man or a casual sunday flyer the selection of liveries will suit you and your needs. Everything on this aircraft has been optimized to replica the real C195, if you fall in love with classic aircraft then this 195 is certainly for you. 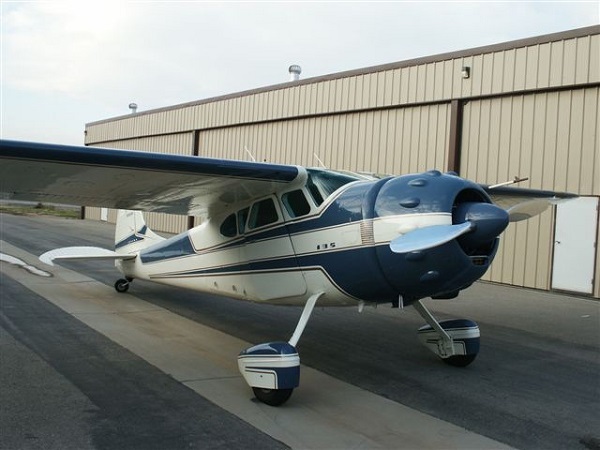 This aircraft is worthy of the investment and fairly cheap for the great quality you are receiving. 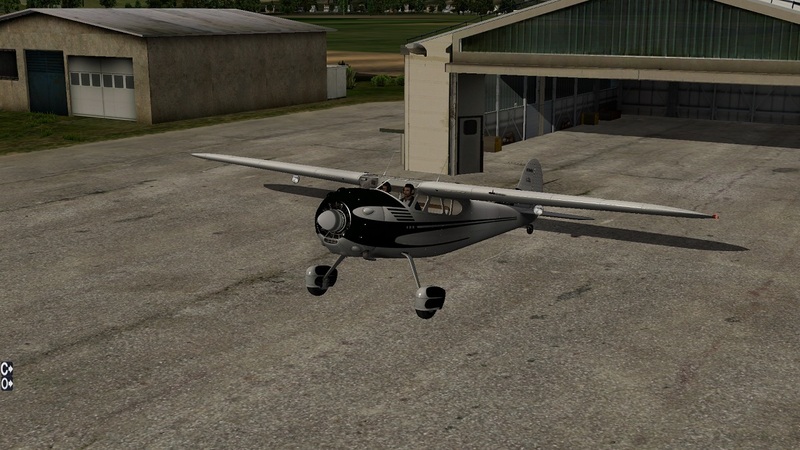 You may be thinking you already have a few GA aircraft in your hangar however the C195 offers something different, an experience of a vintage classic aircraft that feels fragile to fly. When you fly the C195 you are hesitant to take very steep banks just because of the fact it is an old fragile aircraft. With all effects and animations the 195 still manages to perform well on my system setup, with on average 23 FPS not dependent on interior or exterior views. Wherever you fly in the world, put the C195 to the test. I believe Lukla VNLK will put the C195 to the test, if you have the C195 or plan getting it comment below you experience with Lukla vs C195! 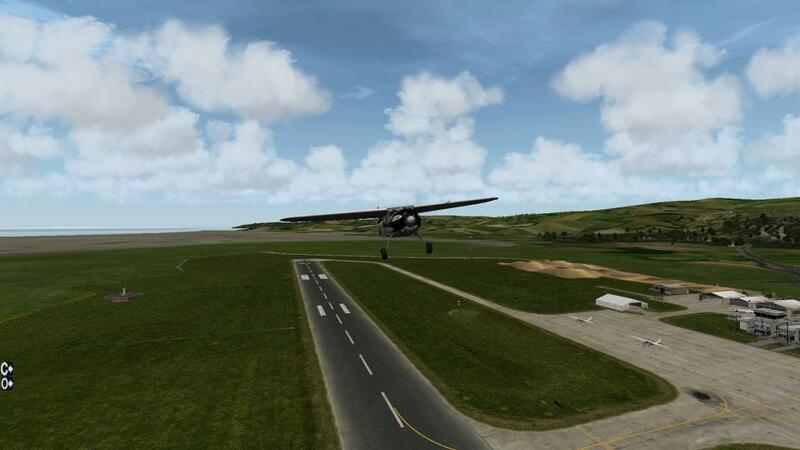 The aircraft is not a heavy study sim but something to enjoy in your favourite locations in X-Plane. The sounds are of great quality, the animations from the prop to the landing lights all work as they should and how you would expect them to. The flight model is accurate and precise to the C195, agile, fragile and fun! With a bunch of liveries and detailed options for configurations, the C195 is a great -plane addition. Where can you find this aircraft? 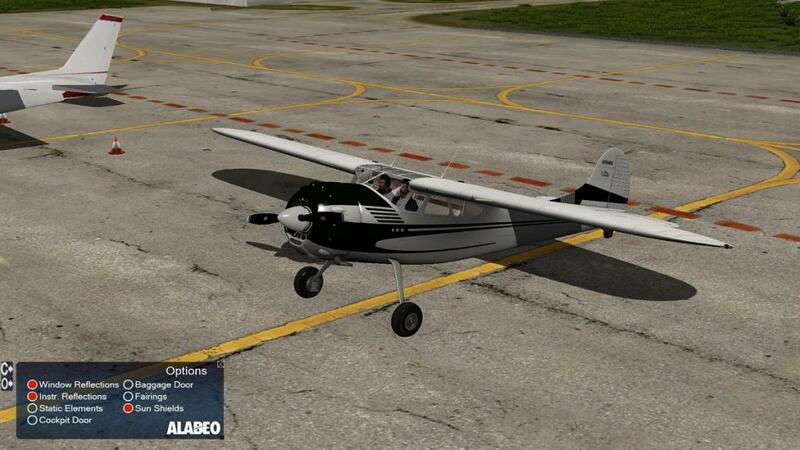 On the X-Plane.org Store of course for $22.95 Get the : Alabeo C195 Business Liner - Here.